Nick-named the ‘Walkie Talkie’ due to its distinctive, top-heavy, bulbous shape, 20 Fenchurch Street is a 38 storey building in the City of London. Completed in early 2014 after a five year build with the public access areas opening the following year, the building contains 690,000 square feet of office space with the top three floors – reached by an express lift – housing a “sky garden” – described as the city’s “highest public garden” – with specially planted terraces as well as bars, restaurants and a public viewing deck. Designed by New York City-based Uruguayan architect Rafael Vinoly, the 160 metre high building was controversial from the get-go, both for its impact on the skyline and surrounding streetscapes but also for the way its exterior cladding acted as a concave mirror and focused intense light on streets which lay to the south. The heat was so intense that it damaged parked cars, leading some wags to dub it the ‘Walkie-Scorchie’ or ‘Fryscraper’, while a newspaper reporter famously fried an egg on the pavement below to demonstrate just how hot it was getting down there. Permanent sun shading was subsequently installed on the tower to deal with the issue. 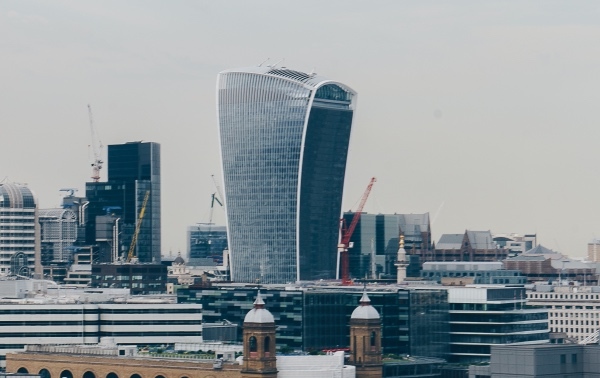 The building was awarded the dreaded Carbuncle Cup in 2015, an annual award given to the ugliest building of the year, with one of the judges describing it as a “Bond villain tower” and another as a “gratuitous glass gargoyle”. The building, which continues to draw strong opinions, was reportedly sold last year for a record £1.3 billion. 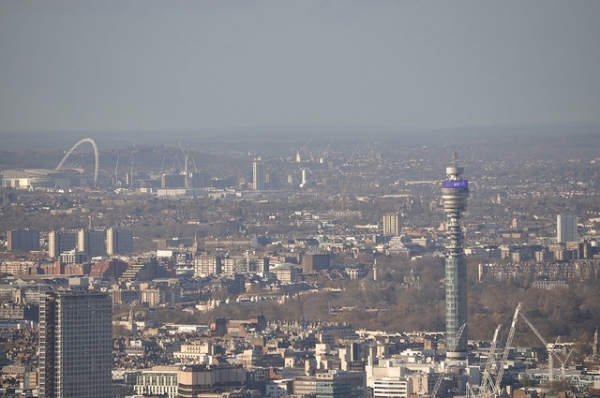 Formerly known as the National Westminster Tower (NatWest Tower for short), Tower 42 – sometimes referred to as London’s first “genuine” skyscraper – was once the tallest building in the London (but now comes in at number eight). Designed by Richard Seifert & Partners (who had proposed a couple of different options), the 47 storey building at 25 Old Broad Street was built between 1971 and 1980 as the headquarters of the National Westminster Bank. 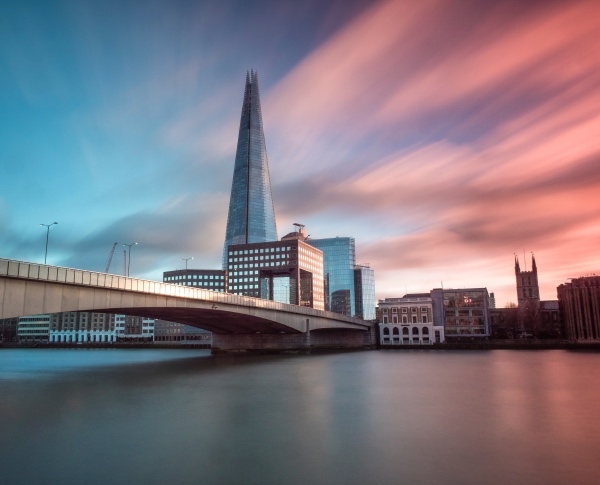 The length of the build – which ended up costing £72 million – was due to the fact that it was paused in the mid-1970s to allow for a redesign of the ground area after the City of London Club was heritage listed (and thus its planned demolition couldn’t proceed). Some 42 of its stories are cantilevered off a concrete core which contains elevators and service rooms. 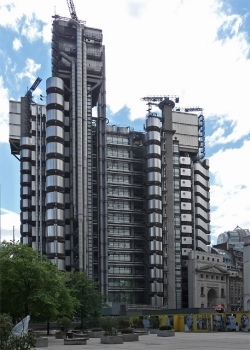 It has been repeatedly said the building was designed so that in plan view it resembles the NatWest logo – three interlocking chevrons – but Seifert apparently said this was just a coincidence. 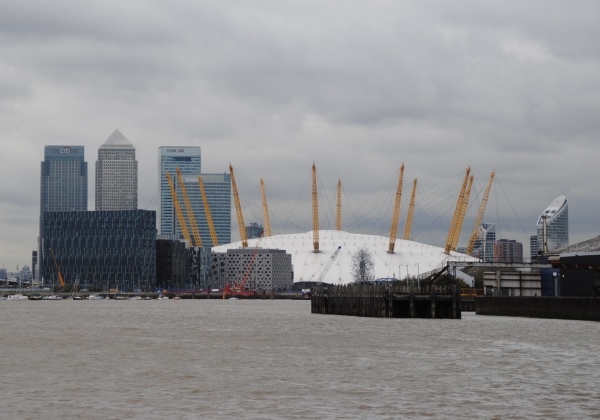 It was formally opened by Queen Elizabeth II on 11th June, 1981, and, at 183 metres tall, was not only the tallest in London but in the entire UK until it was surpassed by One Canada Square in the Docklands in 1990. 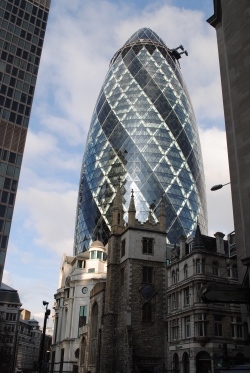 It remained the tallest building in the City of London until 2009 when Heron Tower took over that title. Among its innovations were use of sky lobbies – located on levels 23 and 24, they are accessible by express elevators from the ground floor, and an automated external window washing system. Problematically, however, its interior layout proved somewhat inflexible which meant some of the bank’s operations remained outside of the building. Thanks to a need for large trading floors after deregulation in 1986, NatWest subsequently relocated its headquarters. 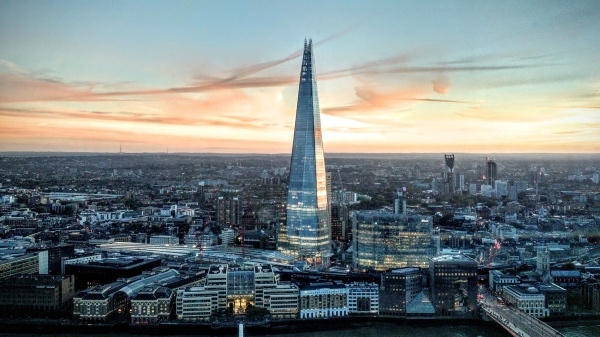 After the building was badly damaged by an IRA bomb in 1993, the entire tower, under the supervision of GMW Architects, was reclad and the interior refurbished. 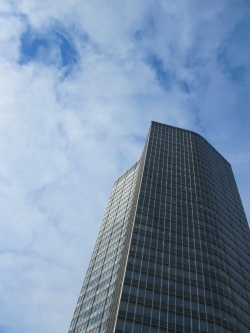 It was subsequently renamed the International Finance Centre and again renamed in 1998, this time as Tower 42 (a reference to the 42 cantilevered floors). In 2011, it was purchased by South African businessman Nathan Kirsh for a reported £282.5 million. These days it contains office space, several restaurants, health clubs and other services as well as and a champagne bar with panoramic views, Vertigo 42. An LED light display was installed in 2012 in time to display the Olympic rings for that year’s Games. The building was refused listed status in 2014 owing to its now greatly altered nature. Interestingly, part of the site was once occupied by Crosby Hall, built in 1466 for City alderman Sir John Crosby and one time residence of King Richard III. The hall was relocated to Chelsea in 1910. Currently known as the Coca-Cola London Eye (it’s had several name and sponsorship changes over its life), this unmissable structure started operations in the year 2000. Designed by Marks Barfield Architects and located at the south-western corner of Jubilee Gardens on South Bank, it stands 135 metres tall and, with a diameter of 120 metres, is the world’s biggest cantilevered observation wheel. 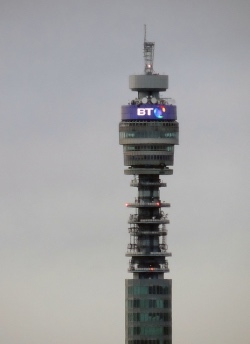 It was also the tallest observation deck in London but lost that title to The Shard. 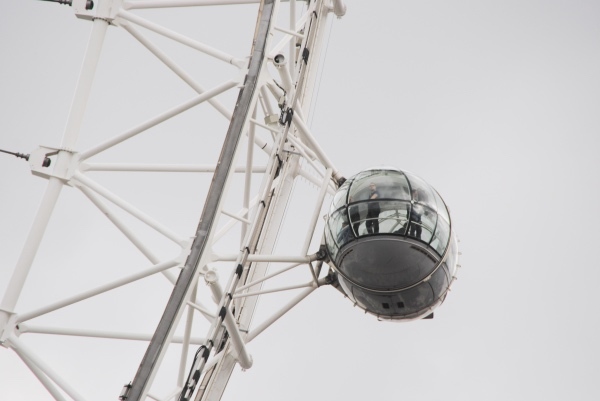 It features 32 sealed, ovoid-shaped capsules for passengers, each of which can hold up to 25 people, and rotates at the rate of about 0.6 mph, meaning a rotation takes around half an hour (a rate which allows most people to get on or off without stopping the wheel). 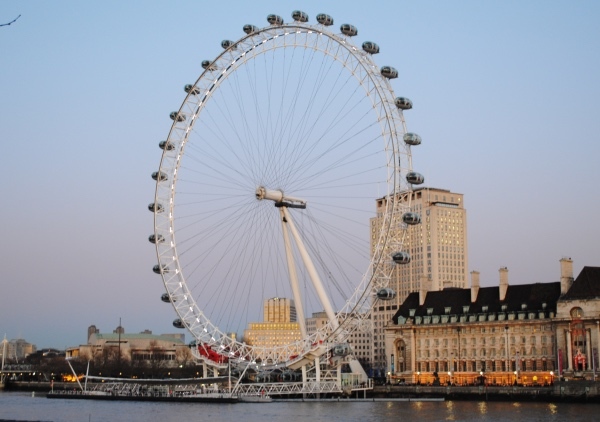 The Eye, which offers a birds-eye view of surrounding areas including the Houses of Parliament, was formally opened by then PM Tony Blair on 31st December, 1999, but didn’t open to the public until the following March (thanks to a clutch problem on one of the capsules). 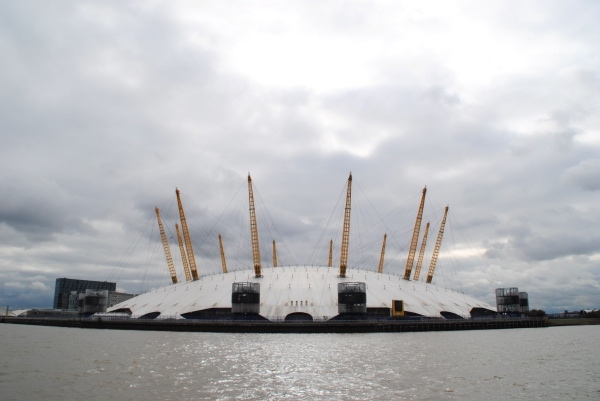 It originally intended as a temporary structure built to mark the new millennium (after which it would be dismantled an moved to another location) but its popularity (and the resolution of a dispute over its lease in the mid-Noughties) has seen become a permanent fixture. The capsules – there’s apparently no number 13 – were upgraded in 2009 and in 2013, one of them was named the Coronation Capsule in honour of the 60th anniversary of the coronation of Queen Elizabeth II. The Eye has been lit up on numerous occasions to mark special events – among them Prince William and Kate Middleton’s wedding in 2011. WHERE: Coca Cola London Eye, Riverside Building, County Hall, Westminster Bridge Road (nearest Tube stations are Waterloo, Embankment and Westminster); WHEN: 11am to 6pm daily (till 29th March); COST: See website for details; WEBSITE: www.londoneye.com. 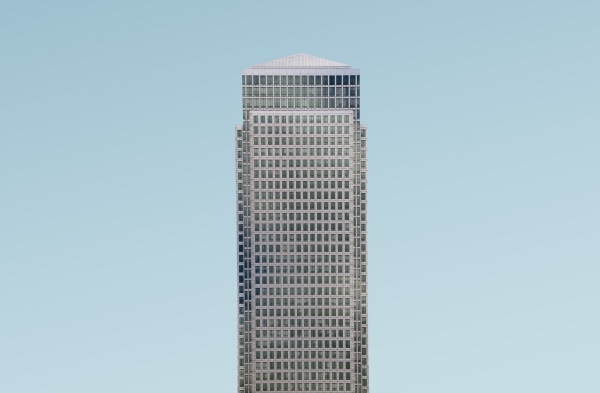 The second tallest building in the UK (and once, very briefly, the tallest building in Europe), Canary Wharf’s One Canada Tower is a symbol of London’s revamped Docklands. The 50 storey skyscraper (there’s also three underground) was designed by Cesar Pelli and constructed between 1988 and 1991. Containing some 1.2 million square feet of office space making it the largest office building in the UK, it was officially opened on 26th August of the latter year by Prince Philip. Often called the Canary Wharf tower, One Canada Tower was apparently the first skyscraper to be clad in stainless steel and was designed to reflect the sky. There’s an aircraft warning light on top which flashes some 57,600 times a day. An office building with no public observation deck, current tenants include a range of financial institutions as well as other companies such as the Trinity Mirror Group, owner of several UK newspapers. As with other newer skyscrapers in London, One Canada Tower has been seen in its share of movies including in 28 Weeks Later and Mission: Impossible – Ghost Protocol. 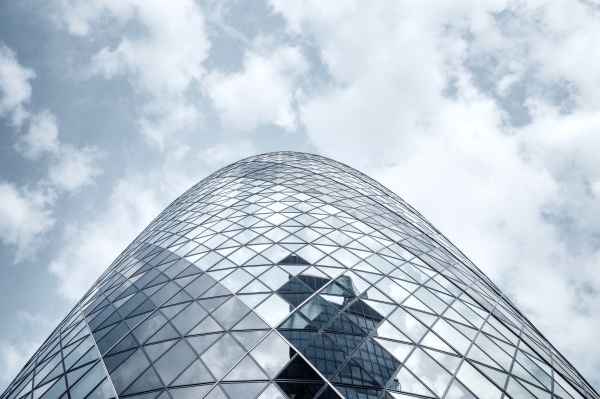 This iconic building – home to the venerable insurance firm Lloyd’s of London – stands on the former site of East India House on the corner of Lime and Leadenhall Streets in the City of London. Designed by the Richard Rogers Partnership (now Roger Stirk Harbour + Partners) in conjunction with structural engineers Arup, this 12 storey building – which features galleries adjoining a series of towers located around a central, glass-topped atrium – was completed in 1986 after eight years of construction. The £75 million building was officially opened by Queen Elizabeth II. The building, which was granted grade I-listed status in 2011 (making it the youngest building to receive the honour), used more than 33,000 cubic metres of concrete, 30,000 square metres of stainless steel cladding and 12,000 square metres of glass in its creation. Among its most famous innovations is the location of services – including lifts, toilets and tubes containing wiring and plumbing – on the exterior of the building in an effort to maximise space inside (inviting comparisons with the Centre Pompidou in Paris, which Rogers was involved in the design of, along with Renzo Piano, prior to working on this building). The building incorporates – in Leadenhall Street – part of the facade of the previous Lloyd’s building which had occupied the site since 1928 (the corporation had been founded in 1688 in Tower Street by Edward Lloyd and endured several moves before coming to its current home). The 11th floor Committee Room incorporates the Adam Great Room, an adaptation of the original dining room from Bowood House in Wiltshire which was designed by Robert Adam for the 1st Earl of Shelbourne. It was purchased from Bowood in 1956 and incorporated into Lloyd’s former Heysham building before being moved into the current building. Also present in the building, hanging from the Rostrum on the ground floor, is the famous Lutine Bell. It was recovered from the wreck of HMS Lutine – lost at sea with all hands and cargo in 1799 and, as a result, the subject of a claim against Lloyd’s which was paid in full – in 1859 and has since graced Lloyd’s underwriting rooms. While it was formerly rung to announce when news of an overdue ship arrived – once for a loss, twice for its safe return – these days it is only used on ceremonial occasions. The building’s futuristic and iconic look meant it’s served as a location in numerous films including 2014’s Guardians of the Galaxy, Mamma Mia (2008) and The Ghost Writer (2010). It has also, in recent years, attracted climbers, leading Lloyd’s to seek an injunction to prevent such actions.